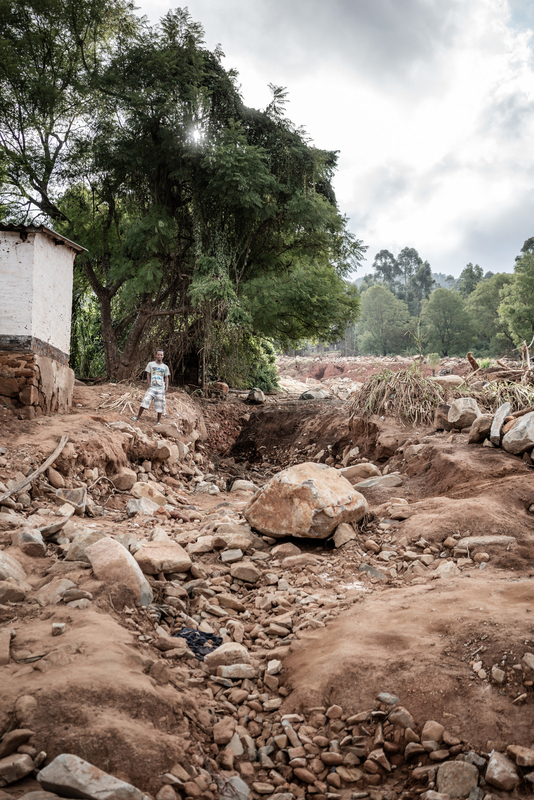 In the hardest hit areas of the Manicaland districts of Chimanimani and Chipinge, 95 percent of infrastructure – including schools, roads, and bridges – has reportedly been damaged. Aid is slowly getting through, though, as the slideshow below documents. In total, 270,000 people were affected by the cyclone — the worst in the country’s history -- which made landfall in Mozambique on 14 March before tearing into Zimbabwe and neighbouring Malawi. Information Minister Monica Mutsvangwa said access to affected areas has steadily improved as more roads are opened. “However, government is concerned with a shortage of aircraft to airlift the relief assistance to collection points still inaccessible by road,” she told journalists after a cabinet briefing. The Chimanimani civil protection unit chairman, Lloyd Kasima, said vulnerable people -- including the elderly and children -- were still at risk in the hard-to-reach areas. 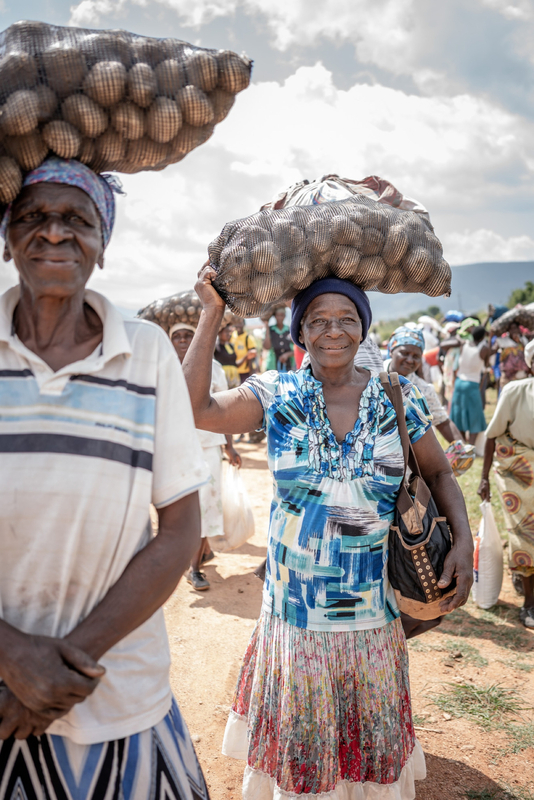 Volunteers delivered food aid collected from well-wishers across Zimbabwe to the village of Gwindi, in Chimanimani district, on 31 March. It was some of the first aid the villagers had seen since the repair of a crucial bridge reconnecting them with the rest of the country. 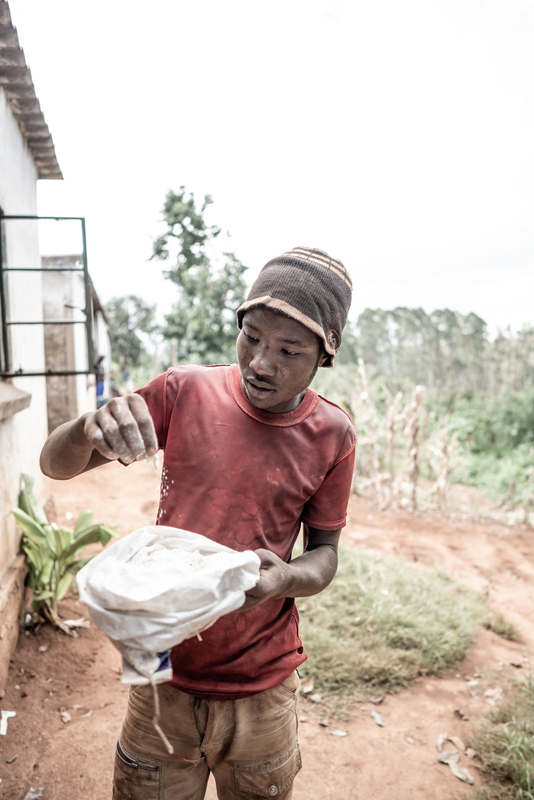 A young man showed all he had left to eat before the food delivery: a handful of maize meal. The new supplies will offer about two days’ worth of food. Owners of hotels and other buildings that are still standing have opened their doors to those in need. 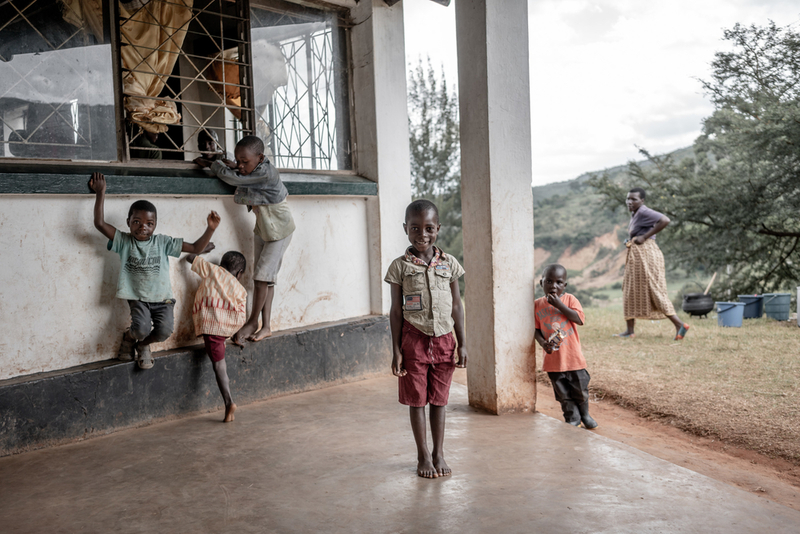 Displaced children played in the garden of what once was the Chimanimani Country Club. Families are still looking for loved ones. Richard Pedzai, standing in front of his house, one of the few that survived in his village, is searching for his wife and three sons. 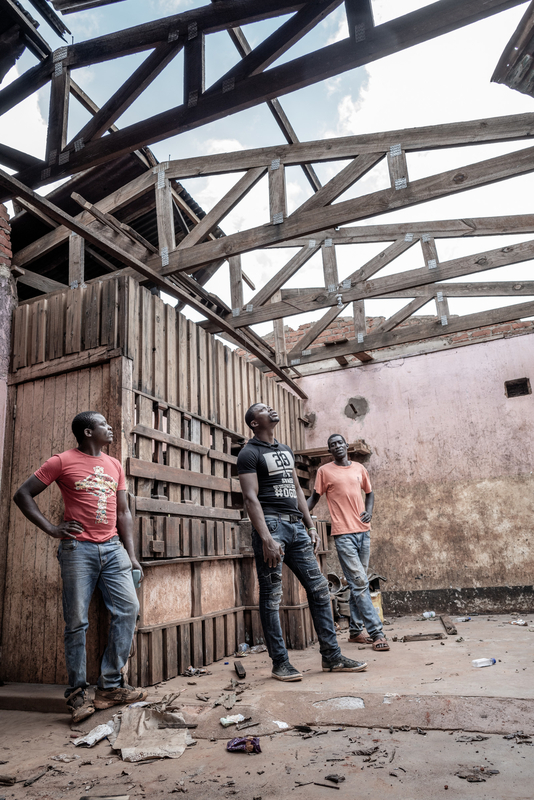 This building housed the main shop of a small community of loggers deep in the Chimanimani Mountains. Now, there is nowhere to purchase supplies. 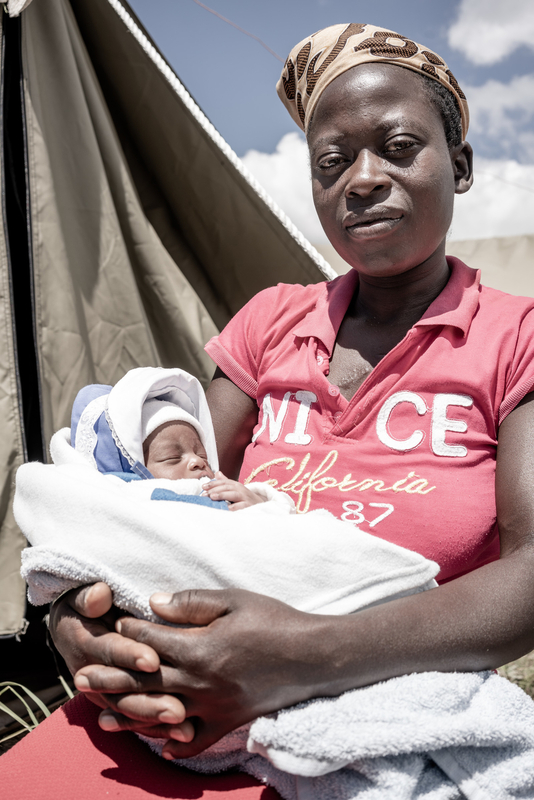 Tario Guvakuva named her newborn Gunners, after the soldiers who helped her give birth on the night of the cyclone.